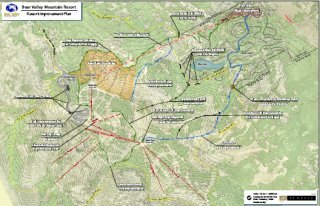 There will be numerous and subtle changes made to trail and run shapes and slopes to make the entire resort more ski-able, reduce bottlenecks and make Bear Valley Mountain Resort easier for novices and intermediate skiers to enjoy the slopes while adding over 150 acres of great advanced terrain and additional tree skiing with the new East Bowl. Baring any delays during the approval process construction is expected to commence the Summer of 2010. The Mountain and Lift portion of Bear Valley's expansion plans comes under the auspices of the USFS. While the New Bear Valley Village Development falls under the jurisdiction of Alpine County. This will be covered in the Village EIR to be released soon. The held a meeting yesterday on the traffic portion of this plan that pertains to Calaveras County and what traffic impacts are Calaveras County specific. We will bring you updates on both processes as they move forward. If you are looking for specifics (This is a very good read if you are a local or looking at investing in the area) we have the entire packet in a 11mb PDF Here ! We also have a larger jpeg version of the map Here! 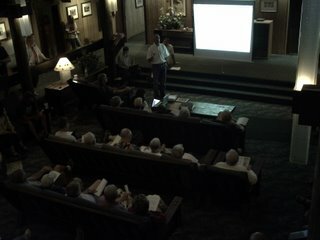 Video of Saturday's Presentation is Here! This video starts a few minutes into the presentation an is of value primarily for the audio portion. A High Res PDF Map of the proposed improvements is Here! Note some of the maps are from the April Presentation which was materially the same. We will change them to the current versions as soon as they are made available.